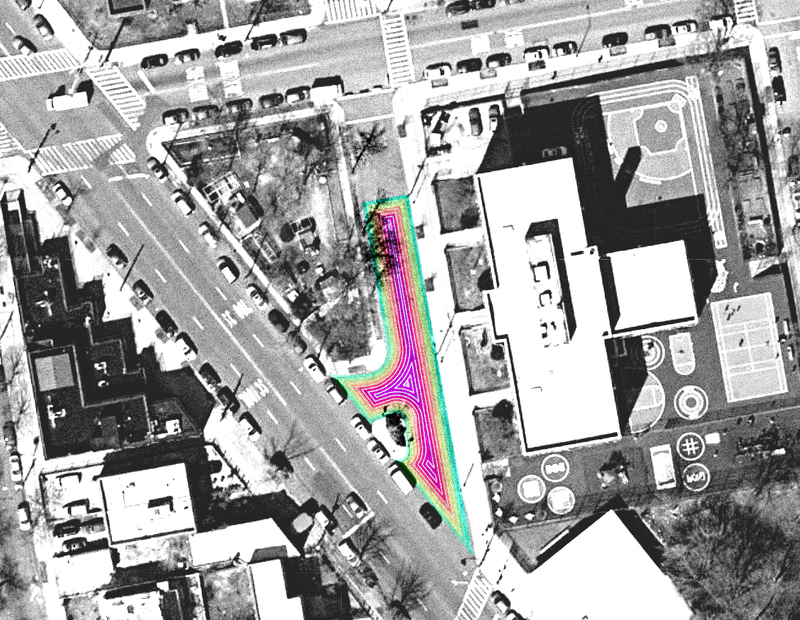 A proposal for the DOT's Asphalt Art Activation project in the Bronx, 1KM is a 1000 meter spiral that encourages students of PS 69 and its neighboring community to go for a stroll. The 1000 meter spiral uses a playful spectrum of color to captivate the eye and invite immediate participation. 1KM demonstrates the value of our public spaces by showing us just how much we really have, and how much we can do with it, while simultaneously encouraging residents of the neighborhood to be active and engaged, and providing circumstances for chance encounters with new and old friends alike.